Trusted data use is an important part of this, says Robertson at the conference, which was attended by analytics professionals. The partnership is working with New Zealanders to develop social license guidelines for data use. The guidelines, according to the Data Futures Partnership website, will set out the ways in which those working with data can build confidence by using data safely and in a way that will be of benefit to individuals and the wider public. "I am passionate about the power of data and how trusted data sharing can be used to change lives for the better," she says, of her role. At the SUNZ conference, Robertson discusses the concept of ‘social license’. To illustrate, she shows contrasting samples of positive - and otherwise - use of data. A recent example of the latter was when the Ministry of Social Development asked not for profits to give them personal data, not just data about clients themselves but data about clients' children and clients’ partners. The not for profits replied, ‘No, you can’t have it, and we think you are breaching the privacy of our clients and that we think this is not a good thing to do’. “We need to be careful that just because we have that data we can use, doesn’t mean we should,” Robertson says. 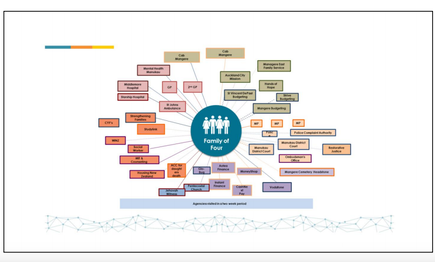 A positive use of data is the Southern District Health Board’s HealthOne, where patient data is shared between between doctors, pharmacists and ambulance service to provide the best possible picture of the patient. In an accident, the hospital can treat a patient efficiently and quickly, for instance, when they know if the patient has any medical complications such as allergies. She cites another initiative, Manaiakalani, an education programme to help improve students outcomes for low decile schools in Auckland. “We can see where good examples of data is shared and technology is used with great outcomes for people. “When you get it right, the benefits are clear,” she says. What is social licence? 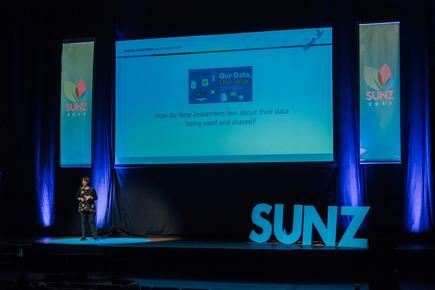 Presentation from @nzdatafutures who are creating social licence guides for data use. Robertson was head of the Auckland City Mission before her current role. During her term, the City Mission had a research project called Family 100, where they interviewed families living in poverty. The participants provided detailed information on a wide range of relevant topics including housing, food, services, education, justice, debt, employment, health and support networks. She says the families were asked to describe the organisations they visited in a span of two weeks. These included government agencies (e.g. social services and justice), health networks, debt agencies and churches. Every time they go to these agencies, they are asked the same questions - like their name, birthdate, the last time they were here, the number for their benefit. Some data will be different or peculiar to some agencies. “All the demographics are just the same. They go to an agency, they are seeking help for something. They have to give the story every agency wants to hear. She says clients would like this to happen. Robertson says some of the families are asking why they can not have an app to get their own benefit, or to look at their debt? She says she asked families, “what value did you get out of this”, after meeting with the agencies over the two weeks. She says her work at Data Futures is about social investment. “I am passionate about using data better to get improved outcomes for families,” she says and also to include people in that conversation. 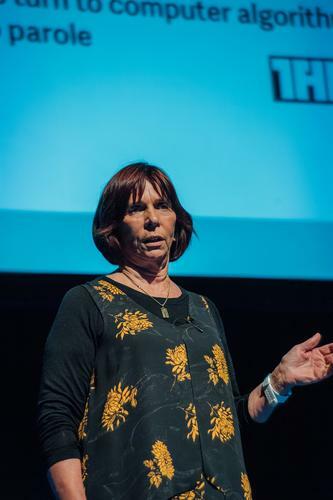 She says the partnership has held a series of workshops nationally, from Invercargill to Whangarei, on how New Zealanders feel about their data being used and shared. The participants were across a broad section of people, including Pasifika, rural/urban, homeless, school students and older people. There were also 4000 people who were involved using an online version of the workshops. They used three hypothetical data use scenarios for medical data, education records and smart street lighting. The research explored people’s comfort levels and how they weigh-up trust/benefit in the different scenarios. For instance, when it came to health data, there was a value proposition, to the doctor and ambulance paramedics, and to the person who is being treated more effectively and efficiently. “When there is no value proposition, they want to know what you are going to use it for, how it is going to be used, they want to know about control,” explains Robertson. The people were also asked how they would feel if their anonymised data was used to develop policies, and given to business, iwi and government. When people were asked what they think the guidelines should contain, certain themes emerged. These include purpose (what will it be useful for? ), value (what will I get out of it, what will you get out of it? ), use (what are you going to use it for?) and control (informed consent and the ability to remove permission as well as time limits on permission). One of the biggest issues is that people don't trust the data held about them is accurate and want to access it look at it and check if it is accurate and valid. She says other themes that emerged were security (data breaches) and transparency. As well, they want a governance body, a form of Data Commission, an independent authority that deals with complaints. “More and more of data is being collected about us that we don't necessarily have control of,” she states. Photos are taken of people as they walk down the street, or their information is collected as they swipe their bus cards. “Social license is going to be the biggest issue around data,” she states. “Underneath all that, you have to determine how to use it, its purpose, its value, its security and its control. But most of all, what you need to be doing is having a good engagement with the people you are developing products for data use, to understand how it can benefit people and for people to understand the benefits for them. 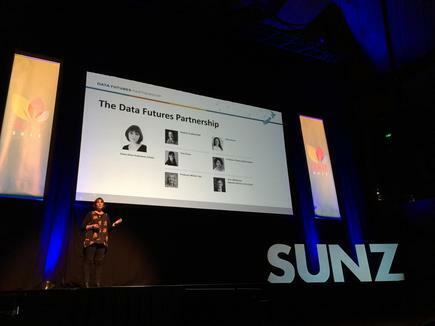 “We need to remember one of our biggest jobs is to extract the value from data,” she tells the SUNZ conference attendees. “We need to start thinking, what’s the value, what’s the risk, and how to mitigate the risk." Robert O'Brien, data scientist at Noos, talks about the Aotearoa New Zealand Data Commons project. 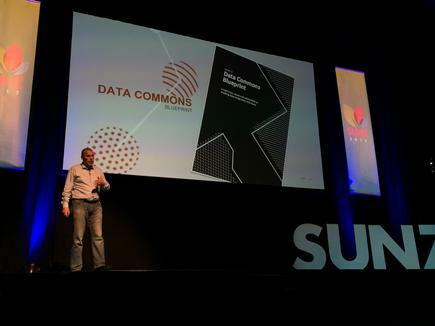 He says the project can propel New Zealand as a world leader in the trusted, inclusive and protected use of shared data, to help deliver a prosperous society.